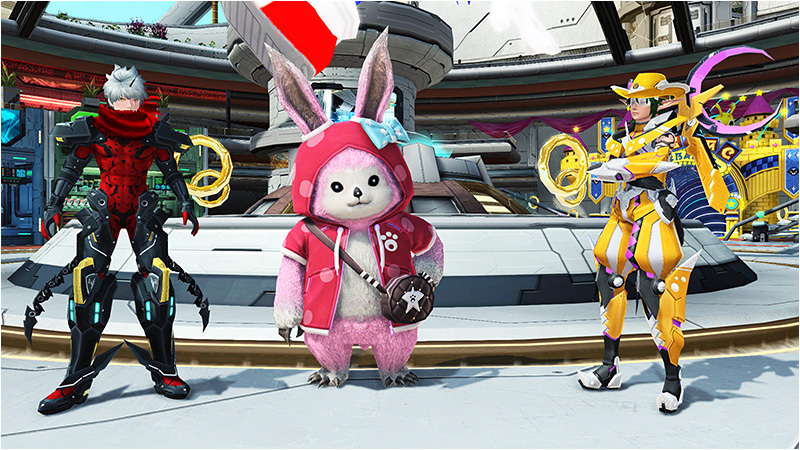 Take on a beefed up Progeny of the Apocalypse in a new PSO2 update! Perennial Apocalypse is also a pre-scheduled Emergency Quest that can only be cleared once per ship. Added new Story Board events. Two more videos from the [Phantasy Star Festa 2016 Video Contest] will display on the screens. 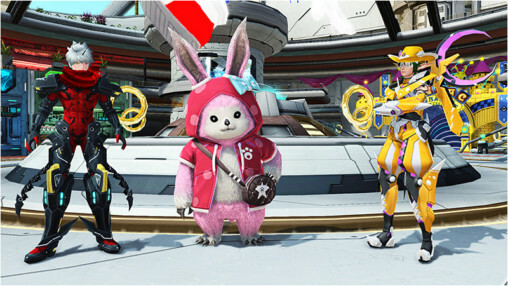 A video for the [PSO2 The Animation: Character Song CD] will also appear on the monitors. In addition two (+50 Fishing Stamina Drink) and two (+50 Collecting Stamina Drink) have been sent to the Visiphone. 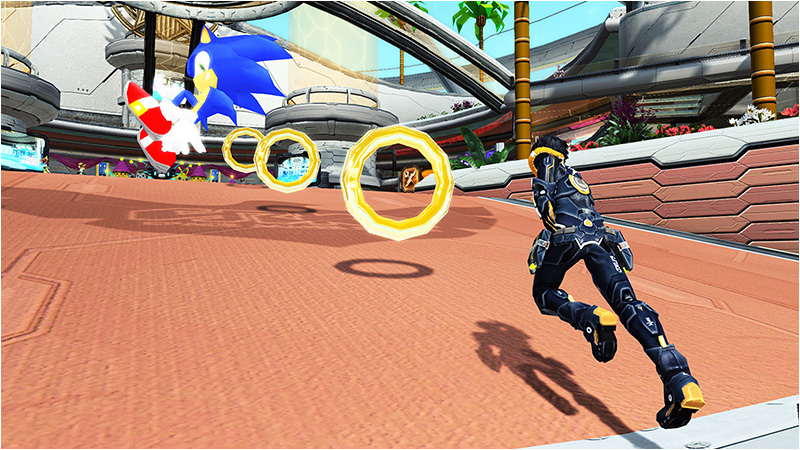 It’s Sonic the Hedgehog’s 25th birthday, and PSO2 is celebrating with a special keyword campaign! By guessing the correct keyword, you can earn previously released Sonic themed items. We’ll be updating the table with the correct keywords as soon as possible, so please check back periodically. You have until June 29th’s maintenance to enter the keywords. Entering a keyword ahead of its start time will not count. Your prizes can be picked up immediately from the Visiphone. I met a PNJ called “Marina” during a E-Trial in a Free Exploration… Just who is she? ._. Some Guest NPC From Somewhere(tm). Earlier iterations of the franchise I guess. Not exactly new either, I’ve seen her and some others a few times over at least the past half a year or so. She is one of four characters designed by Mamoru Nagano, the most notable of which being the easily overlooked Alis in the lobby. Marina/Maia/Marlena is apparently from Phantasy Star III. I see… So I guess the guy and the other girl I’ve seen on an E-Trial on Wopar seabed last year were the two last (I know the girl was “a friend of Alis”, believing what was said on S-Wiki). The Ray Series Collection File it’s really evil, damn, Demise it’s a quest that I hardly can finish once, it’s been a while since I was able to finish it twice, people always mess up and most of the parties for Demise are really bad. Bad thing about Collection File it’s that if you fail the quest you don’t get the points, and since I can’t finish Demise due to bad parties, RIP me. This new Apocalypse it’s hell. I love how the term “adabana”, literally ‘abortive flower’, that is to say “flower that does not bare fruit” is present in everything referring directly to PD, yet agrajag desperately avoids ever using it or any permutation thereof for the engpatch. woosley wannabes need to pass their jobs to competant people. he’s a tech wiz, but that doesn’t make him a translator. lynken> what were they wearing? maybe a sakura wars character? That’s Orakio Pareo (found in the Badge Shop in black; and the hair is Orakio Semi-Long from the same), same general style as Alis wears so that’d peg her as being from the same older PS game. Now you mention it… Yes it’s an Orakio Pareo. I forgot about this one. Still I don’t understand the trip with PSIII in these characters… But maybe someday I’ll find out x). Throwaway mythology references, Don’t Think Too Hard About It. You almost said something that could be spun as positive. If you’ve got a good way to communicate all of that in English in 2-3 words without missing out on anything, then I’m all ears. Hell, you can’t even completely communicate the notion of samsara concisely in English. Agrajag did not name the EQ, by the way. This time, it was EspioKaos and myself. If I had had my way, the original EQ would have been called “The Bloomin’ Apocalypse,” because I am an idiot that can never be trusted not to make puns. We decided on “Perennial Apocalypse” for several reasons. Perennial communicates both the eternal/reviving aspect (“samsara”), and the flower aspect (part of “adabana”). Also, the name is similar enough to the previous “Progeny of the Apocalypse” that it is readily apparent to everyone what the EQ is. So is it a perfect translation of the original Japanese? No, obviously it is not. However, I do feel that it is probably among the best possible localizations for this name. Not sure if this is the right place to post, but I’m wondering why my PSO2 keeps crashing or closing by itself on me (it does one or the other, mostly crashes though). If anyone could provide an answer for me, that would be great; I’m tired of trying to play the game only to end up crashing or closing during an EQ. Most likely missing or corrupted files, run a check – either with the official launcher or Tweaker’s “Check For Updates (Old Method)” (which AFAIK does the exact same thing). I did the Client Order of Musashi on the Desert Exploration some hours ago and with surprise, the second Area of the Quest was only a fight against a Big Vardha, then like usual the third area was the fight against Gwanaha. Did it happen to someone else? That was the first time here. Vardha can spawn in Desert, though it’s extremely rare. The last keyword is 「キャラクター」.